The new Night Shift taproom and coffee bar location at 1 Lovejoy Wharf in Boston. All photos courtesy of Night Shift. 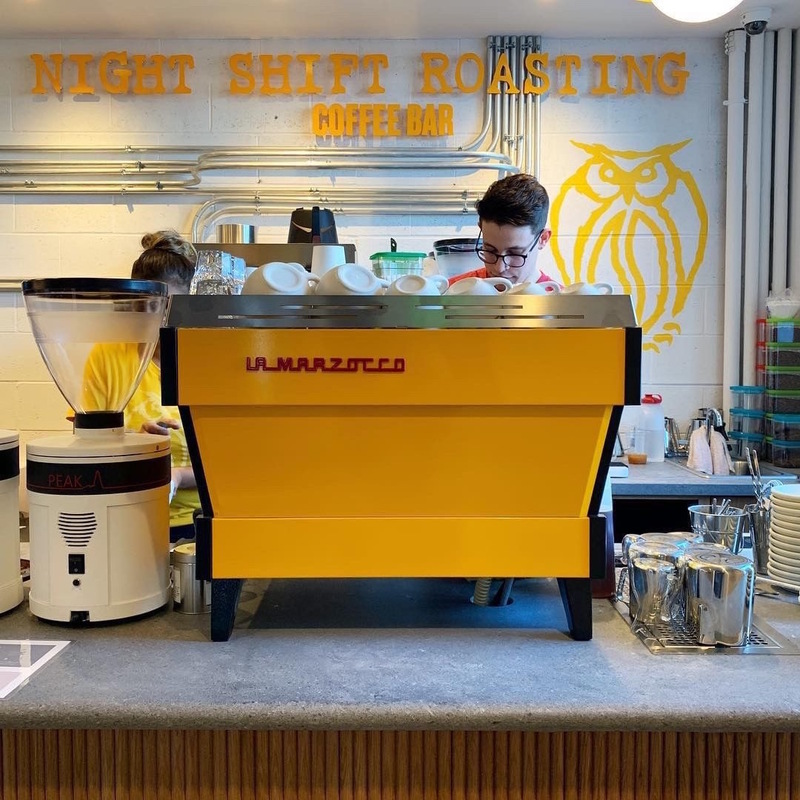 No longer content to burn only the midnight oil, Boston’s Night Shift brewing and distribution company is now up bright and early with the launch of a coffee roasting operation, Night Shift Roasting. 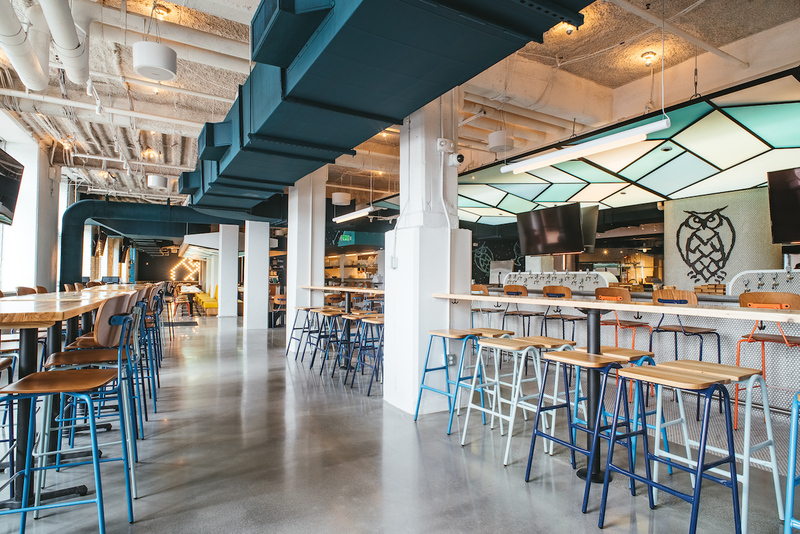 The coffee arm of the business is showcased through a craft coffee bar inside Night Shift’s new 12,000-square-foot Lovejoy Wharf location. The new 10-barrel brewhouse and pub includes a 6,000-square-foot taproom and seating for more than 300 people. Eighty more seats are on a breezy waterfront patio from which to enjoy the output from any of the 30 taps for beer. 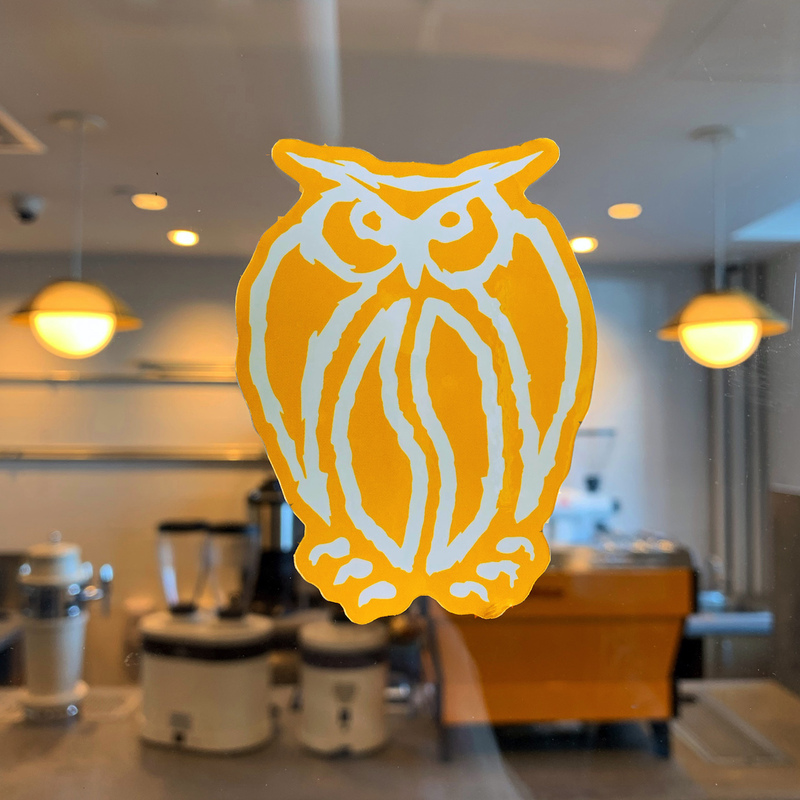 The company’s hop-body owl logo cleverly becomes a coffee bean-body owl when roosted on the wall of the 300-square-foot dedicated coffee bar area, where four more taps dispense nitro and still cold brew, kombucha and other tappables. Also on that bar, a La Marzocco PB2AV plays well with Mahlkonig K30 Twin and Peak grinders, while an EKK43 grinds for batch and manual brews supported by a Marco Jet6 Twin system and Marco hot water tower, respectively. 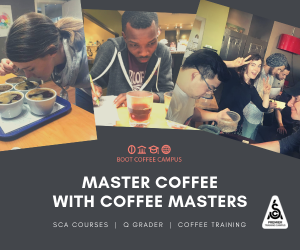 Former George Howell Coffee barista and 2018 US Brewers Cup champion Rose Woodard will be leading the coffee program on the Night Shift bar. 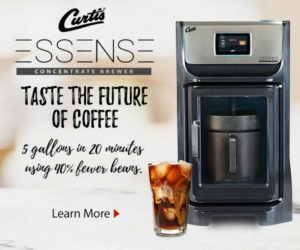 “We’re trying to call it ‘coffee bar’ and not ‘cafe’ to get people to understand that we’re taking this seriously, that it’s focused on the coffee,” Night Shift Co-Founder Michael Oxton recently told Daily Coffee News. 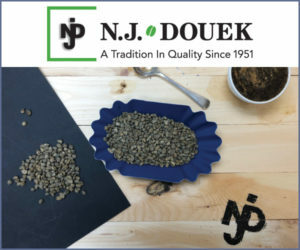 He said the coffee station is set up mainly for to-go orders, but also opens onto the expansive taproom, where coffee patrons are free to relax with drinks in ceramic cups to enjoy with food, on their own, or alongside beer-drinking compatriots. 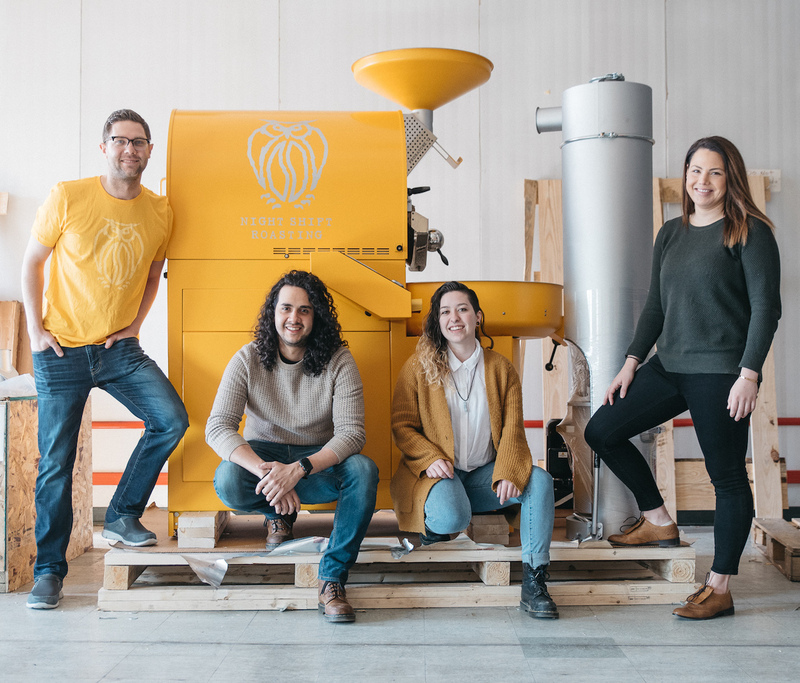 The Night Shift Roasting team. With space at Lovejoy maxed out between the taproom, the coffee bar and a 4,000-square-foot brewery and kitchen, Night Shift’s brand new, melon-yellow 12-kilo Probat P12/2 emblazoned with a silver Night Shift Roasting logo has been installed off site in a 2,000-square-foot space within the company’s distribution center and headquarters in Chelsea, Massachusetts. Oxton said that while the P12 is relatively small for the sort of scale they’re envisioning in the long run, the space that it’s in will allow for growth and is already well-appointed for the task. 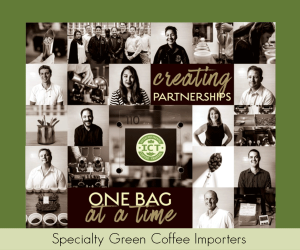 Head Roaster Rob Rodriguez, formerly of George Howell Coffee, will bring to his new position some of the green coffee freezing know-how pioneered by his previous employer. 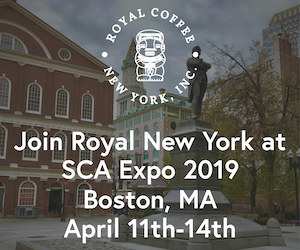 Construction on the roastery is expected to wrap this month according to Oxton, who said that by the end of April the machine should be live, seasoned, and ready for production. 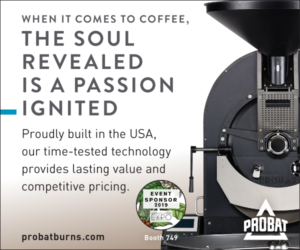 Until then coffees for Night Shift’s retail bar are roasted by Providence, Rhode Island-based Bolt Coffee on a production set-up identical to what Night Shift has in the works. 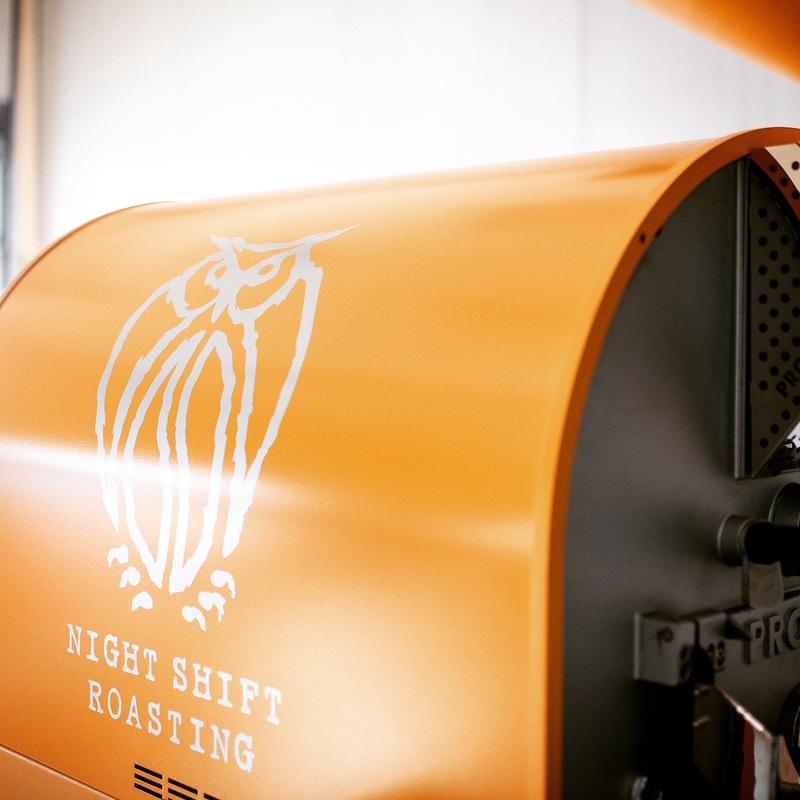 Oxton said that beyond the primary concerns of approachability, freshness, seasonality and variety, Night Shift Roasting’s offerings will aim for a balance between “relatively affordable but high-quality” blends and some more complex, nuanced, smaller-batch and limited offerings that are keeping with the ethos and spirit of the brewery. Flavor descriptions will be oriented loosely around cocoa, herbal and fruity characteristics, to keep things simple but still stimulating. The new Night Shift taproom and coffee bar is now open at 1 Lovejoy Wharf in Boston. 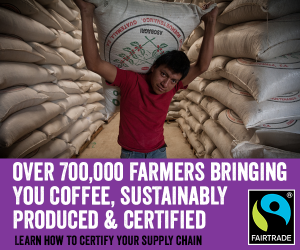 Diverting coffee roasting income from coffee producing communities endorses child labour, poverty and modern slavery conditions. These people already live in abject poverty.